Take control of the airplane in the pilot seat ! Duration: 1h45 including 30 minutes of ground school and 60 minutes of flight. 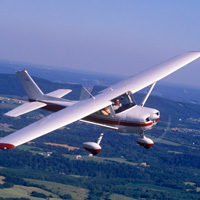 Take a 30 minutes ground school and fly the airplane in the pilot seat with an instructor by your side for 60 minutes. A fantastic experience.